For 90-minutes of hilarious stand-up head to Brad Garrett's Comedy Club at MGM Grand Hotel and Casino on the Las Vegas Strip. This show features both big name and up-and-coming comedians as well as special performances by Brad Garrett himself. Choose from different seating options in Brad's intimate club for the performance of your choice and prepare for an evening of witty observations, sharp jokes and big laughs! 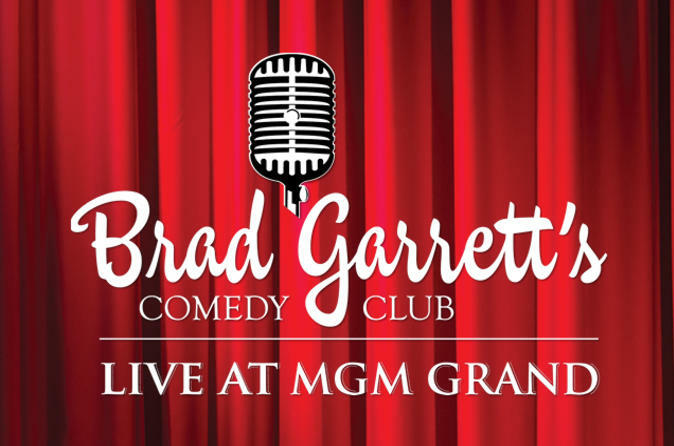 Head to the MGM Grand Hotel and Casino for 90-minutes of world-class stand-up at Brad Garrett's Comedy Club. While the comedians vary, each delivers a hilarious and memorable set that will keep you laughing for the rest of your evening. Please note: The above line up, including Brad Garrett, is subject to change without notice.